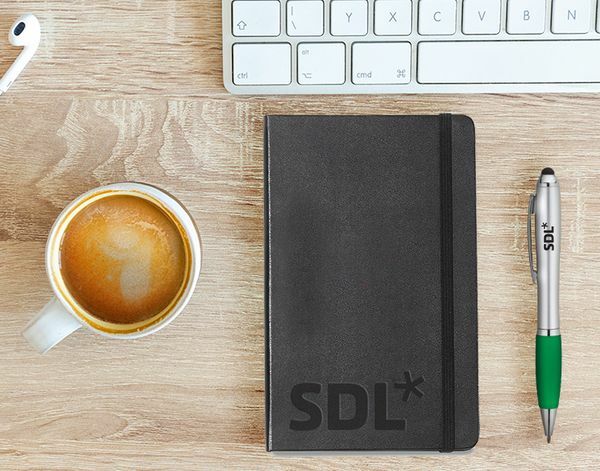 SDL, a global innovator in language translation technology, services, and content management, recently underwent a complete brand refresh. The company was keen on generating excitement within the company, so they asked us to help them send a collection of branded items to every employee across all forty global offices. Here’s the tricky part: A major objective of this project was to have all the shipments arrive within a certain time frame. To start, we steered the SDL team towards promotional items that would minimize the chance of being flagged during customs. Our dedicated UPS representative gave us details on shipping lead times and delivery requirements for each destination. And finally, by direct shipping from vendor facilities, we were able to reduce lead times and hit the required delivery window.